Ciaran Bagnall is tired but buzzing with pride when we chat, shortly after The Man Who Fell To Pieces had its first, enormously well-received outing at The MAC. He is set and lighting designer on the play, written and directed by Patrick J O’Reilly, which marked the beginning of the first ever EdgeFest, a series of thought-provoking productions and special events centred around mental health and emotional struggle and turmoil. The mini theatre festival is a collaboration between Tinderbox Theatre Company and Prime Cut Productions and continues until March 3 with showings of East Belfast Boy and Every Day I Wake Up Hopeful, which both opened earlier this month. A conversation with Emma Jordan led to Ciaran working on her directorial debut, Denis Kelly’s After The End in the OMAC. Just over 10 years later, both she and Bagnall are winners in The Irish Times Theatre Awards, which took place in Dublin on Sunday. 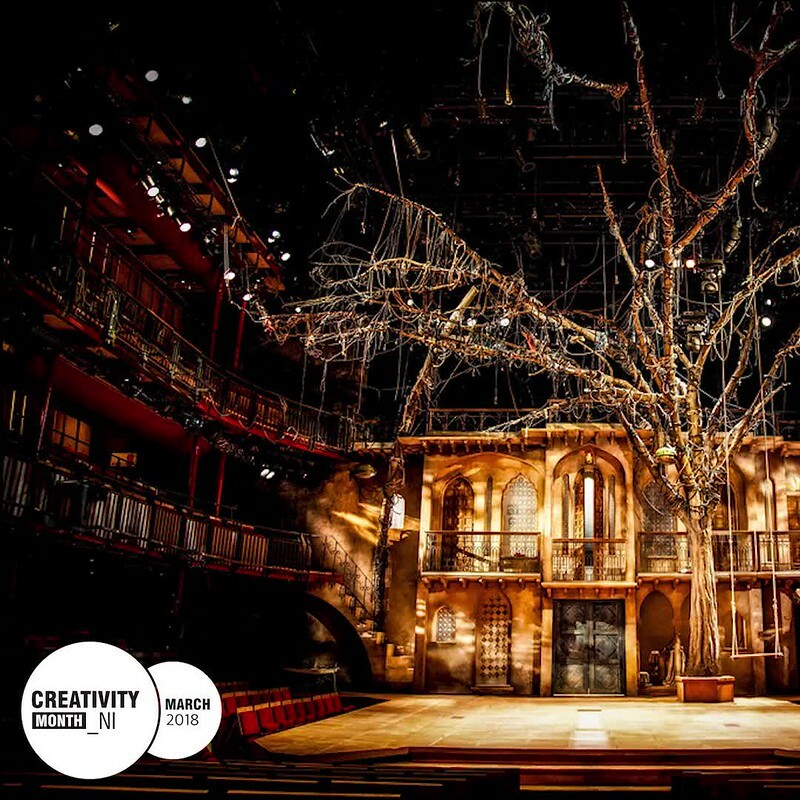 The John Logan play Red – which Emma directed and for which Ciaran designed the set and lighting - took home four of the six awards it was nominated for, including Best Director and Best Set Design. Shortlisted also for Best Lighting, Bagnall remains modest about his triumph, preferring to shine the light on the supportive women around him – namely Jordan, who he describes as his 'theatrical sister and hero', his wife Jen, daughters Emily and Roisin, and Clare Vidall-Hall Management, his agent in London. His path to becoming a professional lighting designer was – somewhat unusually for the creative industries – a relatively traditional one. Having fallen in love with lighting design and stagecraft at the age of 15, his careers teacher in Abbey Grammar in Newry advised applying to the Royal Welsh College of Music and Drama. He began his studies there in 1997, completing a degree in stage management. Bagnall says, 'They have lighting design degrees now, but they didn’t have any of that in my day. I specialised in lighting design and from that I literally got my first job straight out of college.' He joined the lighting department at the Leicester Haymarket Theatre, followed by five years freelancing in London, and continues today to work on productions in England. Some people take clear, vocational paths into creative industry professions and others find their calling by happy accident – as you can see, Bagnall’s career path is a lovely demonstration of both. For those considering working in theatre in Northern Ireland, he says the theatre family in this country will be generous with their time and knowledge – but you need to have a real passion for it, and do your homework. 'I think we in the industry have a role to play with younger people coming into it – to pass on our knowledge and be open with them as to what it’s like. The theatre world is very open for people to come along and see the work and see how its produced. 'The most important thing is that you enjoy theatre and have a genuine interest. Go and watch stuff, read plays – if you can’t afford theatre tickets, you’ll still find so much online. If you meet someone in the industry and they can see that interest in you, they will bend over backwards to help you. This article has been published as part of Creativity Month 2018, themed around 'careers in the creative industries'. To see this year's programme of events running throughout March, click here.